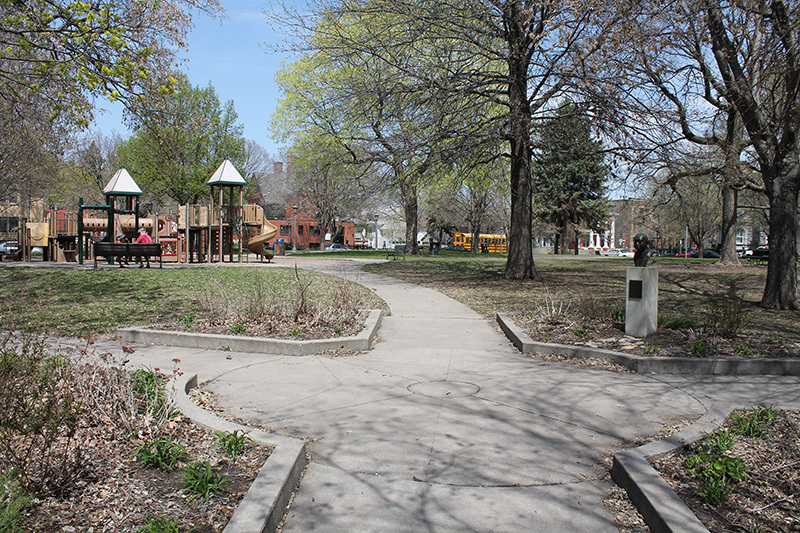 Located on the north side of Selby Avenue between Virginia and Farrington Streets, this pleasant, tree-filled square-block park honors St Paul's outstanding African American union leader. In 1973 the Ramsey Hill Association proposed naming the park for fur trader and capitalist Norman Kittson. A counter proposal came from the Selby-Dale Freedom Brigade, who argued for Frank Boyd as a fitting and proper designation. On May 1, 1976 the park was dedicated by a group of “labor oriented black citizens of St. Paul” led by Reginald Harris, a member of Firefighters Local 21. 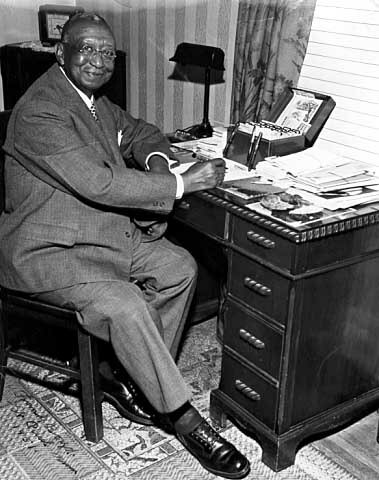 Frank Boyd was born in Kansas City, Kansas, in 1881. As related by Arthur McWatt, a chronicler of African American history, “Boyd arrived in St. Paul in 1904 and found work as a porter in a Black barber shop. He worked there for three years before deciding to try working as a Pullman porter for the Northern Pacific Railroad. During World War I, Boyd joined the Railroad Mens International Benevolent Industrial Association. Boyd helped to organize the local in St. Paul. The local elected George Shannon its president. 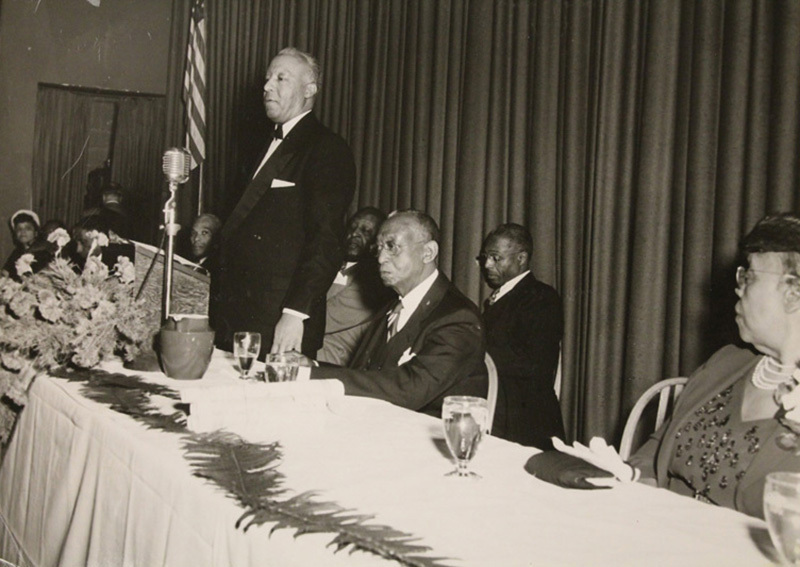 After the war, Boyd was instrumental in the organization of a branch of the Brotherhood of Sleeping Car Porters Union in St. Paul.” The fraternal organization began its formation in New York City in 1919. A.W. Jordon was elected president of the St. Paul branch. Frank Boyd was chosen as its delegate to the Chicago convention that October. On January 13, 1926, Local 3 held its first meeting at the Welcome Hall Community House, located on Farrington and St. Anthony Streets. Mainly through Boyd's efforts Local 3 grew to over 700 members. He died in California on May 2, 1962. His body was returned to St. Paul. He is buried in Elmhurst Cemetery. Frank Boyd Park is dedicated to the memory of this outstanding leader of the Brotherhood of Sleeping Car Porters Union and St. Paul's African American community. 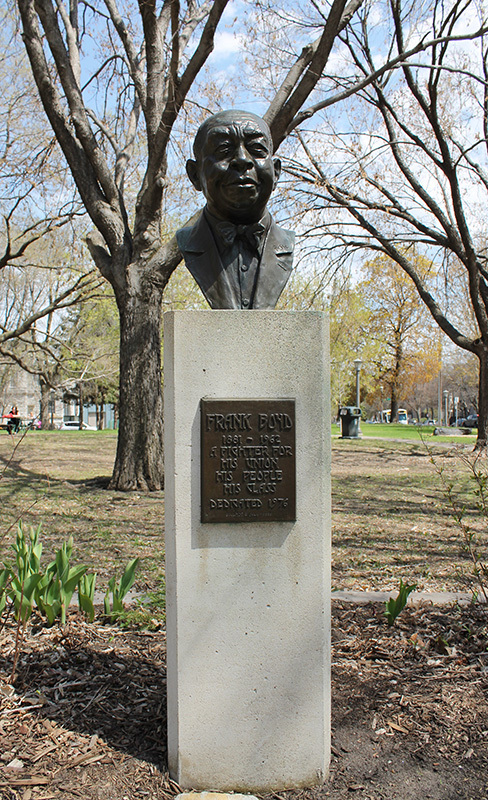 A bust of Boyd is located at the southwest corner of the park and a plaque reads: "Frank Boyd, 1881 – 1962. He was a fighter for his Union, his People, his Class." Dave Riehle, “Frank Boyd Park,” Saint Paul Historical, accessed April 18, 2019, https://saintpaulhistorical.com/items/show/177.